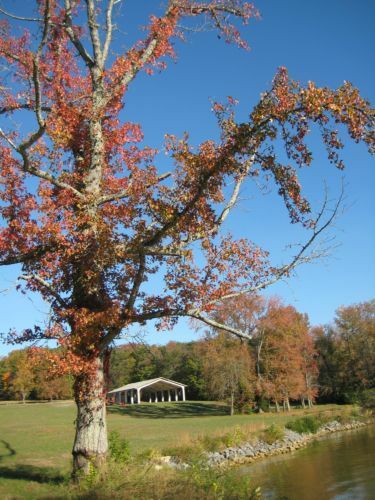 Welcome to John Knox Center, located on the shores of Watts Bar Lake in beautiful east Tennessee. We offer organized retreats and events, custom programs, lodging and program opportunities for adults, youth, children, church groups, schools, and more. Whether you are planning a weekend congregational retreat, day meeting, or wedding John Knox Center is the perfect location. We would love to host your next business meeting and professional development or team building programs as well! Let us host your next event! We also offer a broad variety of Christ-centered children's and youth opportunities at our summer camp program called Camp John Knox. Campers grow as Christians, develop social and communications skills, and build strong relationships that can last a lifetime. John Knox Center is also the home of the River Ridge Environmental Education Program. Established in 1994, River Ridge is a top education program offering hands-on programs for a variety of grade levels and sizes. Day and overnight programs are available that incorporate hands-on and experiential learning. and inspire a love for God and commitment to Christ.